Boxer Equipment Is Made For More! Decking extends the living space of a home and increases its value. It can be used to complement internal flooring and form a natural flow from indoors to outdoors. With a huge range of outdoor heating appliances and the low cost of external kitchens now available we can extend our time enjoying the entertaining areas of the home in all seasons. 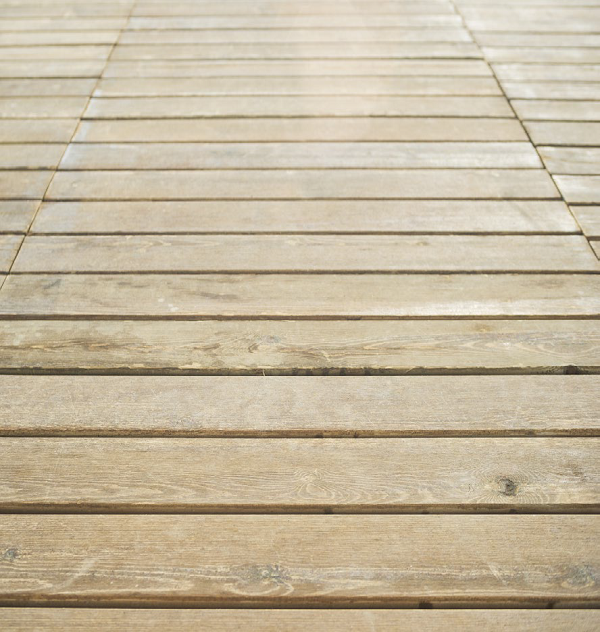 In the past we would automatically think of using natural timber to build a deck. Nowadays, we are using composite products more and more. Natural timbers are quicker to work with and cheaper by comparison to composite timber. However, composite timber is manufactured for strength, durability and enhanced moisture resistance. It is also denser, stronger and heavier than natural timber and retains its original appearance year after year. Composite decking does not require any painting or staining because it is manufactured in a range of colours and finishes with a consistent board length. Warping is a thing of the past. Grain, colour, weight and dimension are all more consistent than natural timber. The protective outer shield layer is highly stained and mildew resistant and will continue to last without rotting, cracking or splinters. Because it is made from recycled materials it is also eco-friendly formulated from wood fibre, plantation bamboo, plastic, recycled HDPE (depending on the brand) and a binding agent. It is now becoming more and more popular with builders and landscapers working on large commercial projects because of its suitability for high traffic areas. First line salt locations are a perfect application for composite timber products. Consider quoting marinas and jetties using composite products. Many have an R11 anti-slip rating (see also AS 4586:2013). It’s also ideal to use as seating; barbecue, pool and spa areas; and it’s also great to use for privacy screens. Composites are perfect for elevated pathways in our protected natural environments. It is easy to install using traditional screw applications or via a concealed fixing method for an even cleaner finish. 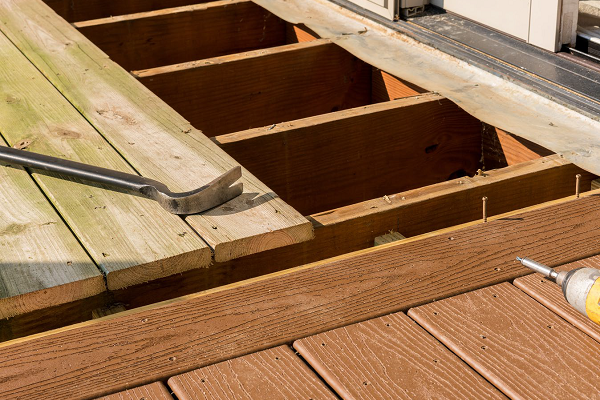 In the long term, it may work out to be the most cost-effective decking option. Composite decking can be incorporated into a new build or retrofitted. The design and structure of the house will determine the layout and design. The external surroundings should be taken into consideration because the colours and textures are an integral part of the design. For instance, the neighbors may have a row of conifers along the fence line that will add formality to your client’s space. The different colours available are appealing attributes. For that reason, large samples should be viewed in a showroom before deciding on the colour, style, and texture. Most people choose the natural timber grain finish. TIP: The natural timber grain finish needs more frequent sweeping/blowing to keep it clean. A visit to any new homes display village will also illustrate the uses and looks of composite decking and screening products. The weathering process will vary according to exposure to different climates, sunlight levels and moisture. Boards will usually achieve a fully weathered colour within 3-6 months. Slight colour variation between boards will occur and is considered normal and not a defect or fault. The aim is to replicate the variations found in natural timber. In the parts of Australia that are prone to bushfires, there are limitations on the use of timber in deck construction. This limitation varies depending on the risk of bushfire attack and the elements of the deck under consideration. Bushfire Attack Levels (BAL) are broken down into six categories: BAL Low, BAL 12.5, BAL 19, BAL 29, BAL 40, and BAL Flame Zone. These levels are based on region, vegetation type around the property, its distance from the property and the slope of the block. See also AS1530.8.1-2007. Some composite products are bushfire resistant for BAL-12.5, BAL-19, BAL-29 and BAL-40 areas. Building a deck in bush-fire prone areas will require adherence to Australian Standard AS3959: Construction of Buildings in Bush Fire Prone Areas. HINT: Remember to enclose the subfloor of the area also using composite timbers and give the local RFS a call for expert advice because they have had the experience of bushfires. The local council may have more unique regulations. To ensure we meet regulations for post sizes, stress grades, bearers and joists spans, and other structural elements pertaining to building a deck, refer to Australian Standard AS1684: Residential Timber-Framed Construction and AS1720: Timber Structures – Design Methods. For instance, under the Building Code of Australia, if the deck is more than 1m off the ground, handrails or balustrades are required. The choice of appropriate handrails and balustrades will depend on the design and application and even location in relation to other structures like swimming pools. Again, check with your customers’ local council. TIP: Make sure the manufacturer of your chosen composite product supplies all its specifications relating to this Standard. It could save you a truckload of money. Termites are the enemy in any Australian landscape. The many Australian hardwood timbers exhibiting natural resistance to subterranean termites in Australia do so with a number of conditions attached. Timbers treated against termite attack must attain appropriate levels of treatment to suit the application involved. Read the conditions in AS3660. On the other hand, composite timbers are termite resistant. Maintaining a composite timber structure requires a low level of maintenance. The amount of care/attention required will be directly proportional to the local environment, an area surrounded by heavy foliage or prone to lots of dust will naturally require more attention than a very open area. A simple sweep will generally prevent build-up of dirt and grime (or even leaves) that could lead to unwanted marks, stains and mould. Gaps between the boards should also be cleared of debris should this occur. TIP: Install a splat mat or drop board under the barbecue to catch fat spills. Move potted plants around to minimise shadow marks and make sure they don’t sit directly on the deck boards because strain marks will form from water overflow. 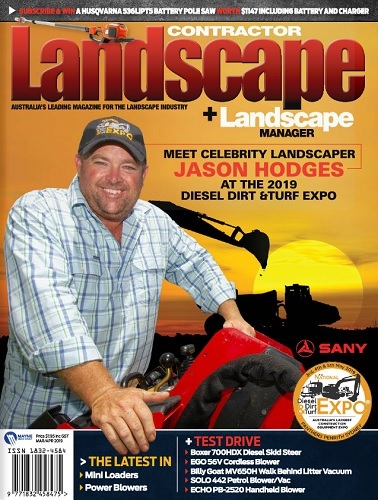 Don’t get left behind the competition in your landscape business. Proudly present your potential customers with composite timber products – today’s best choice.